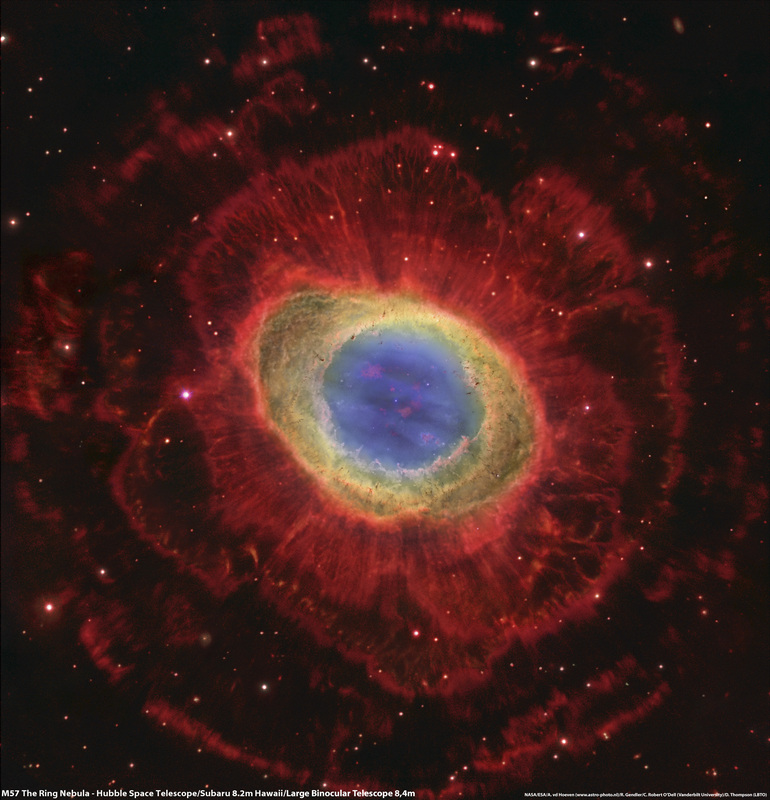 On the 23rd of May 2013 NASA released a new image from the Hubble Space Telescope and the Large Binocular Telescope showing the outskirts of M57, the Ring Nebula. The same dataset was used as I used for my previous processing of M57. As this was based on comparable data I decided to combine this data even furter with data from the Subaru Telescope in Hawaii to show even more data than was shown in this NASA release.